So, I'm from South Tyrol. Never heard about it? Don't worry, lots of people haven't. Until now: South Tyrol – I like to call it my Landl – is a region in the very North of Italy, bordering on Austria (Not Australia! Don't get mixed up here). In fact South Tyrol used to be part of Austria until 1919, when after WWI it was annexed by Italy. Cause, yes, Italy was part of the war winners – if there even exists anything like that – while Austria was part of the bad guys and lost plenty of territories. And until today, the main language here is German, or rather an Austrian variety of it. So, that's the big picture. The small picture is the following: I travel around, not even very far, I meet new people. They normally ask for my name and were I come from. I say Italy. They get puzzled. Cause firstly – I don't look Italian at all, blond-haired and blue-eyed. And secondly – I don't speak Italian. Not very well anyways. So, if I try to explain and the second sentence I say to someone is: “Oh, well, you know, back in WWI...” Then that might be the last thing I told that person. Not good smalltalk material. When I traveled to Lisbon last spring, I was talking to my mom and sister on the bus. And the guy standing besides us smiles at us, saying: “Oh, Sie kommen aus Deutschland. 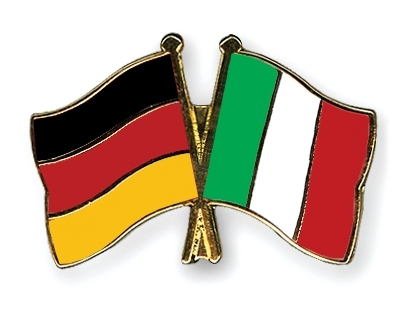 Ich spreche selbst ein wenig Deutsch.” And we say: “No, we're Italian.” And keep talking German to each other.